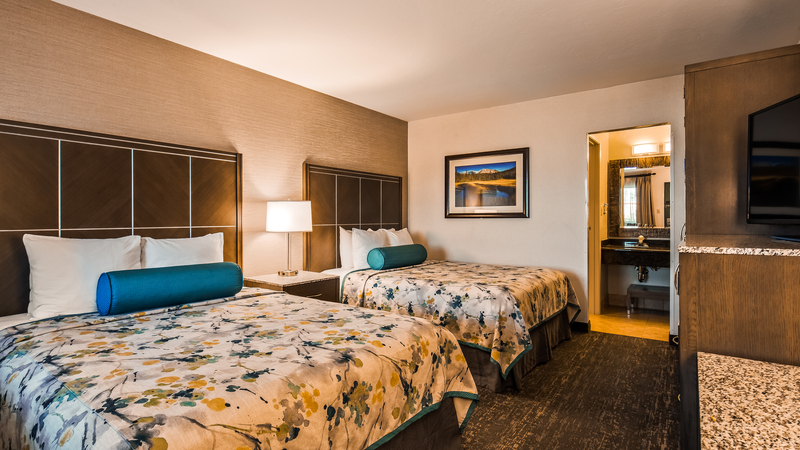 Discover our pristine and stylish lodging in Redding, California, the perfect place to rest your head after all the fun things to do in the area. Our Serta mattresses and plush pillows provide the serene comfort you need for a peaceful night’s rest. After a great sleep, enjoy all the other perks that will make your stay even better: free Wi-Fi, mini-fridge, HD cable TV, black-out drapes, coffee/tea maker, and more. In addition, we also offer pet-friendly rooms, so your four-legged companion can join you on your trip. For guests with allergies, please know that we also have entirely pet-free rooms. All of our rooms are 100% smoke-free. 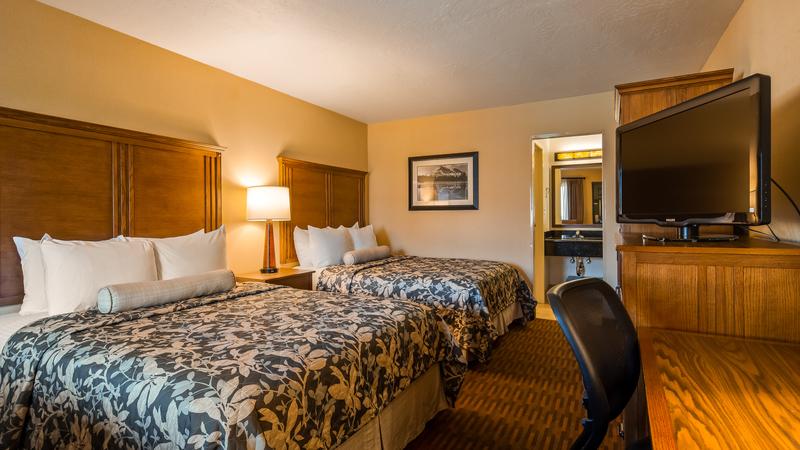 Unwind in this spacious room and sleep well on a king size bed with Serta mattress. It features lovely décor, a fresh feel, and numerous amenities including free Wi-Fi, a refrigerator, free newspapers, blackout drapes, and HD cable TV. 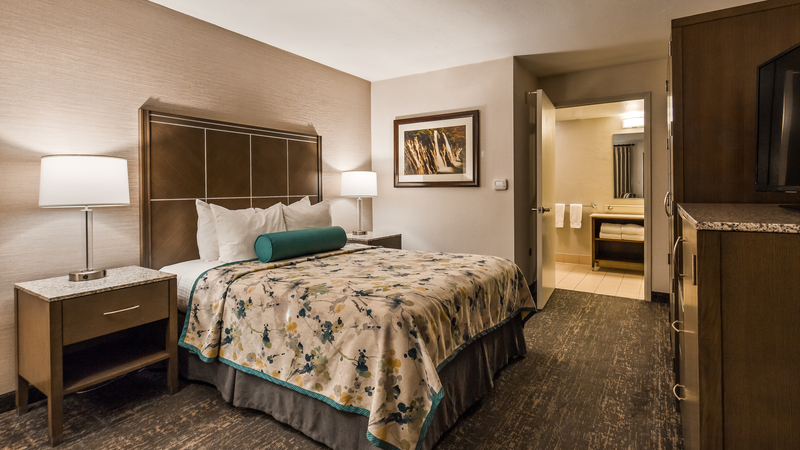 Located away from the freeway in a quiet area, this stylish and more spacious room provides one king size bed with a Serta mattress, crisp linens, and plentiful pillows. You'll also have free Wi-Fi, a refrigerator, coffee/tea maker, and HD cable TV. Bring your furry friend along when you stay in our pet-friendly Redding, CA lodging. These rooms are located near the pet-walking area. They also features one king size bed with Serta mattress, along with free Wi-Fi, refrigerator, blackout drapes, and HD cable TV. Well-suited for families, this contemporary room is outfitted with two queen size beds with Serta mattresses. It's situated in a preferred location away from the highway and also offers free Wi-Fi and a refrigerator. 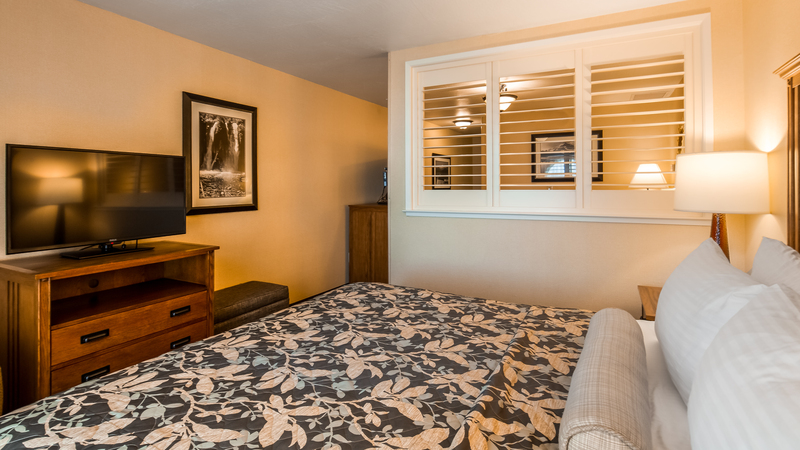 Equipped with two queen size beds with Serta mattresses, this pet-friendly room is situated near the dog-walking area. It also features free Wi-Fi, a refrigerator, blackout drapes, and HD cable TV. Situated in a preferred location away from the highway, these ADA rooms are spacious and quiet. They offer all the features of our standard rooms, plus larger bathrooms with handle bars, walk-in showers, and taller toilets. ADA parking spaces are located nearby. 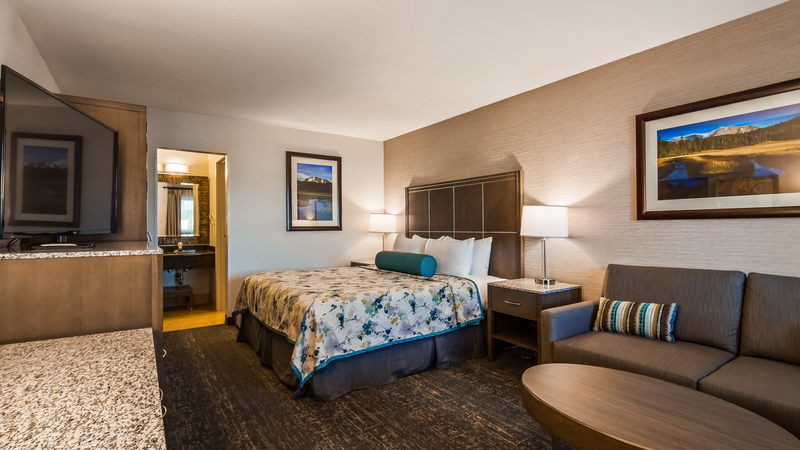 Discover our pristine and stylish lodging in Redding, California, the perfect place to rest your head after all the fun things to do in the area. Our Serta mattresses and plush pillows provide the serene comfort you need for a peaceful night’s rest.